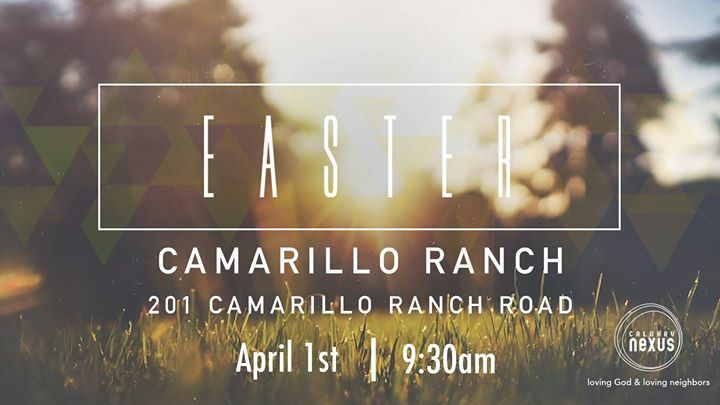 Join us as we celebrate our risen Lord with an epic, outdoor, city-wide service at the Camarillo Ranch at 9:30am on April 1st. We will be supporting the Ventura County Pregnancy Center with donations. Join us as we celebrate our risen Lord with an epic, outdoor, city-wide service at the Camarillo Ranch at 9:30am on April 1st. We will be supporting the Ventura County Pregnancy Center with donations (newborn clothes, diapers, new baby swing, new baby stroller, new infant car seat, and 2T clothes). There will be worship, a sermon, and a continental breakfast after the service. For more information, email info@calvarynexus.org.